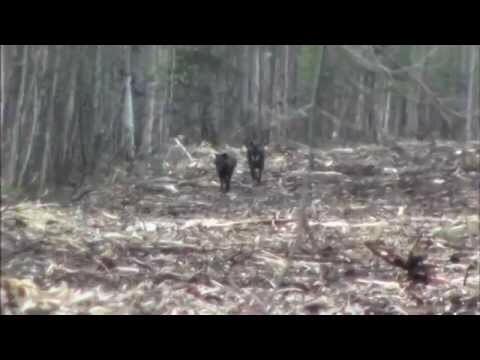 Welcome to the Wide North Outfitters videos gallery. 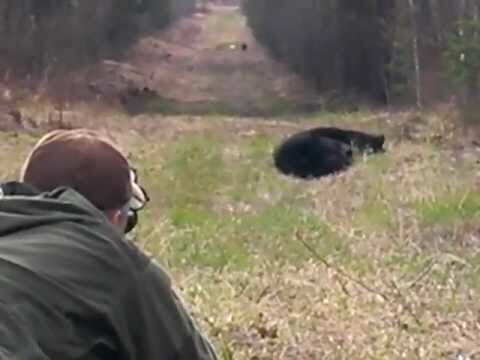 We have a 175-200% success rate on our bear hunts and have never sent a hunter home without filling one of his tags/licenses Black bear hunting takes place in northeastern Alberta, Canada. 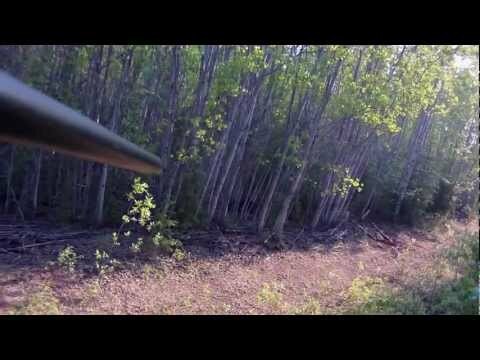 We hunt black bears in the remote wilderness of about 50 square miles with very little hunting pressure. 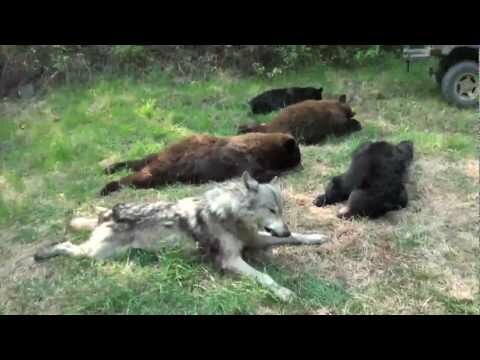 If you are looking for a baited black bear hunt or spot & stalk bear hunt in a 2 bear zone with many color phased & trophy bears look no further. During the winter months we offer professionally guided wolf hunts in the foothills of the Canadian Rockies in southwestern Alberta, Canada next to the mighty North Saskatchewan River. 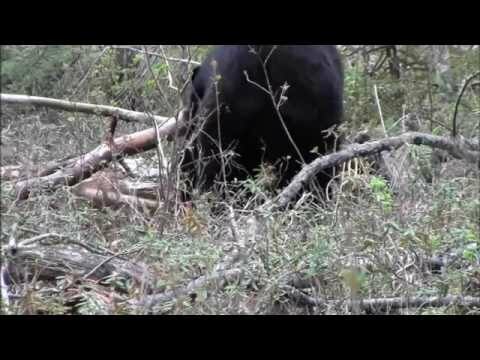 Hunt trophy black bears in Alberta Canada with Wide North Outfitters, http://www.widenorthoutfitters.com. 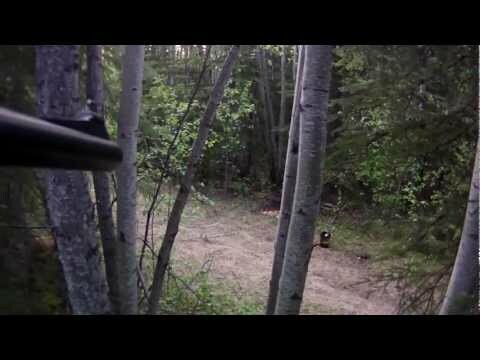 Hunters from around the world enjoy trophy class Alberta Canada bear hunting with David & Randy and the rest of the crew. 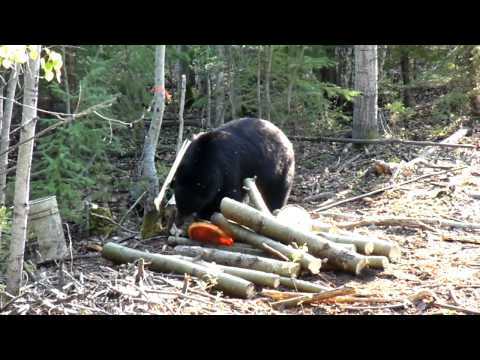 Check out our website for more information about our hunts or to book your next Alberta black bear hunting adventure. 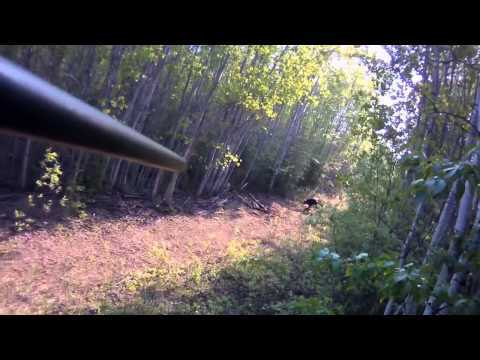 Alberta Canada Black Bear Hunting with http://www.WideNorthOutfitters.com. 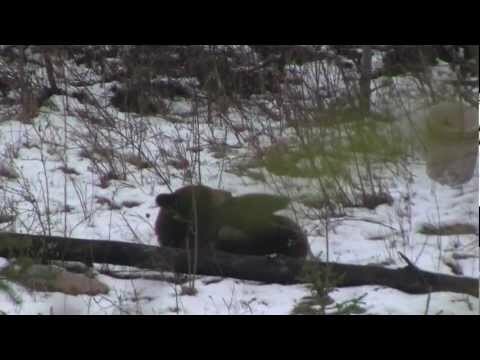 Nice cinnamon Black Bear harvested on snowy ground. This Spot and Stalk the hunter has nerves of ice - waiting and waiting for that perfect shot... and he does capitalize on his opportunity.